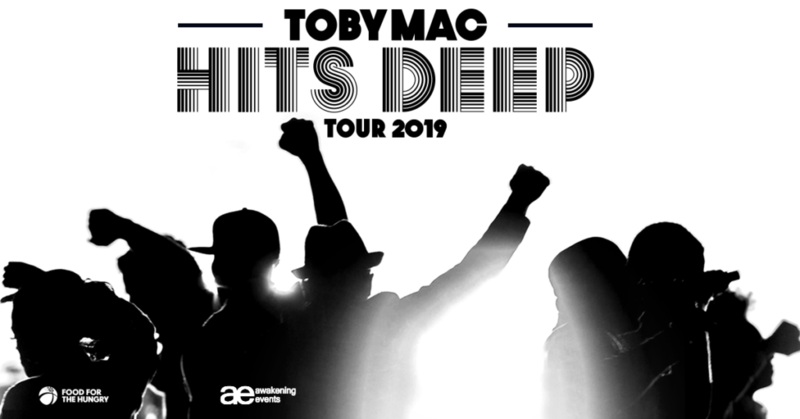 TobyMac’s popular “HITS DEEP Tour” with Jeremy Camp, Jordan Feliz, Ryan Stevenson, We are Messengers and Aaron Cole. The 7X GRAMMY® winner’s headlining jaunt is a partnership with K-LOVE, Air1, Awakening Events and Food for the Hungry. Among the stops are Nashville’s Bridgestone Arena, Atlanta’s Infinite Energy Arena, Hoffman Estates’ Sears Centre Arena, Newark’s Prudential Center and more.